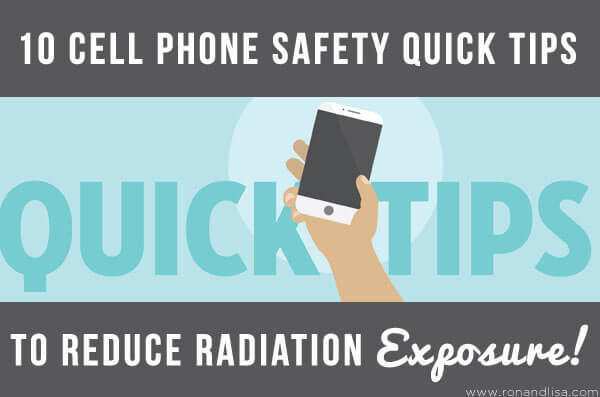 10 Cell Phone Safety Quick Tips To Reduce Radiation Exposure! Technology certainly makes our lives more convenient, but also poses a risk to our health. Giving up your cell phone is just not practical today. However, we all need be informed about the potential risks of radiation from non-ionizing radiation such as radiofrequency (RF) including Wi-Fi communication from wireless internet, routers, cell phones, cordless telephones, and smart electric, water and gas meters. The World Health Organization has classified RF emissions as a Group 2B carcinogen; possibly carcinogenic to humans. It’s important to take proactive measures to avoid or reduce exposure whenever possible, especially for children. Enjoy these 10 Quick Tips to Reduce Radiation Exposure below. Got a favorite or one you’d like to share? Please let us know in the comments below. P.S. ENTER TO WIN! We’re giving away over $450.00 worth of Belly Armor products to shield your unborn or newborn baby from wireless radiation. Enter to win HERE! I am in my car all day for my job. I actually have two cell phones wit me. One for work and my personal phone. Since I travel, I use the GPS feature a lot. What can I do to reduce all the radiation I’m exposed to?? Have you taken our FREE Healthy Home Challenge? We offer tips and proven remedies. Sign up HERE! Absolutely loved this post , This is a comprehensive and helpful information.